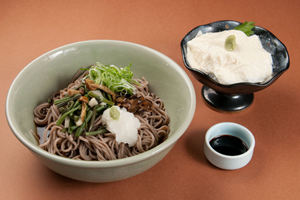 House-made soba noodles using specially selected soba flour kneaded with nama-fu (wheat gluten) and yomogi (Japanese mugwort). 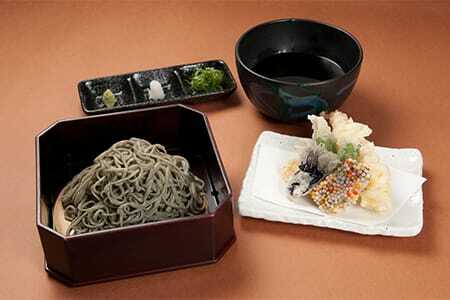 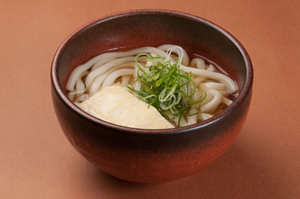 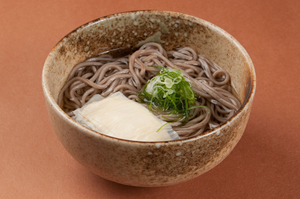 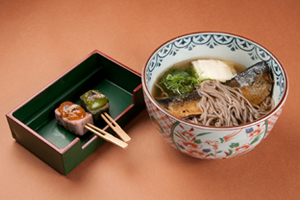 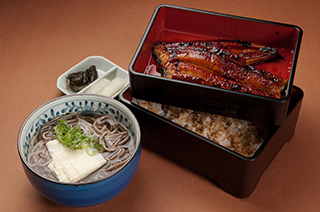 These noodles combine the elasticity of the soba and a chewy texture from the gluten. 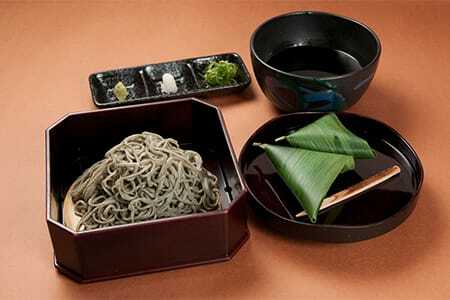 The mugwort gives them a faint yet pleasing scent. 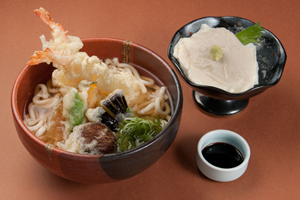 They are best enjoyed with our special tsuyu dipping sauce. 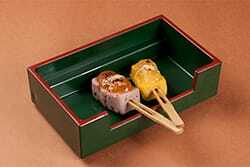 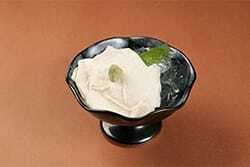 ※The amount of servings for sale depends on the season, so please confirm availability with the staff. 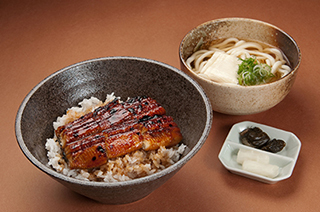 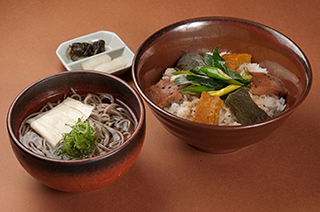 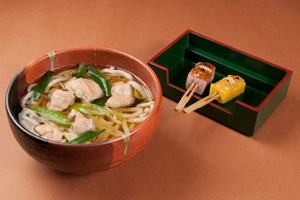 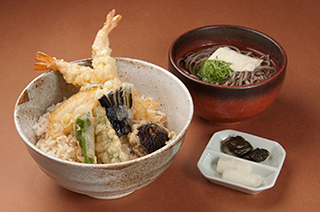 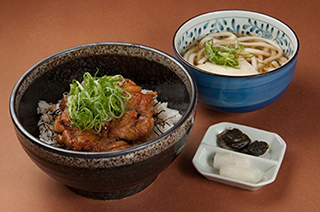 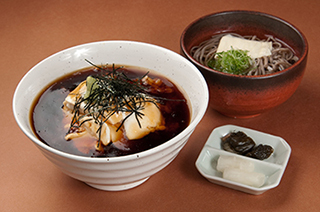 ※Menu offerings may change slightly depending on the season. 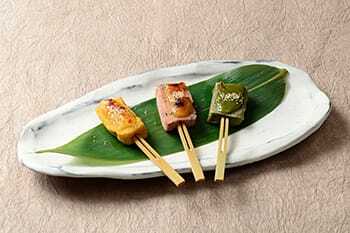 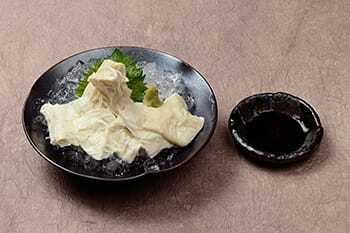 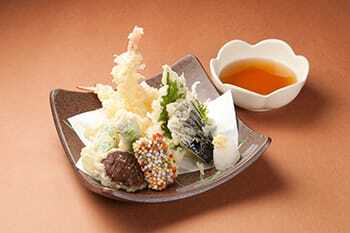 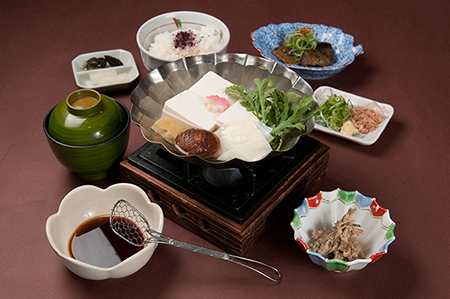 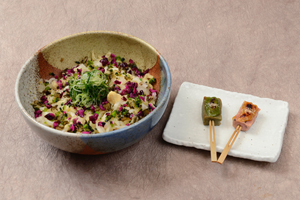 A la carte dishes can made into the following sets: Plus 400 yen for Nama-fu Denraku or Plus 300 yen for Raw Yuba Sashimi. 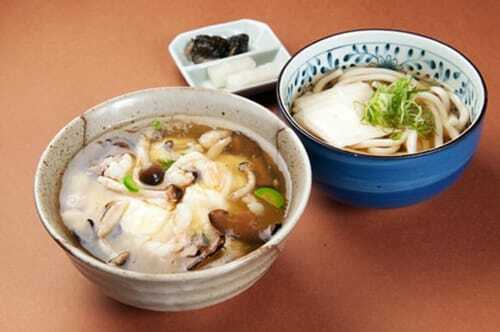 ※A la carte items come with soup. 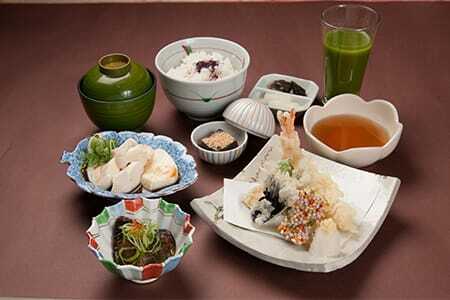 ※All listed prices include tax. 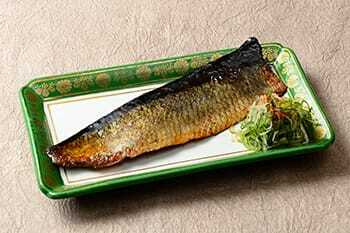 Copyright © Kamanza Co., Ltd. All Rights Reserved.